Recovery is often one of the most overlooked aspects of endurance nutrition; inadequate intake of carbohydrates and electrolytes after training can lead to cramping, dehydration, sub-optimal performance at your next training session and many more problems. 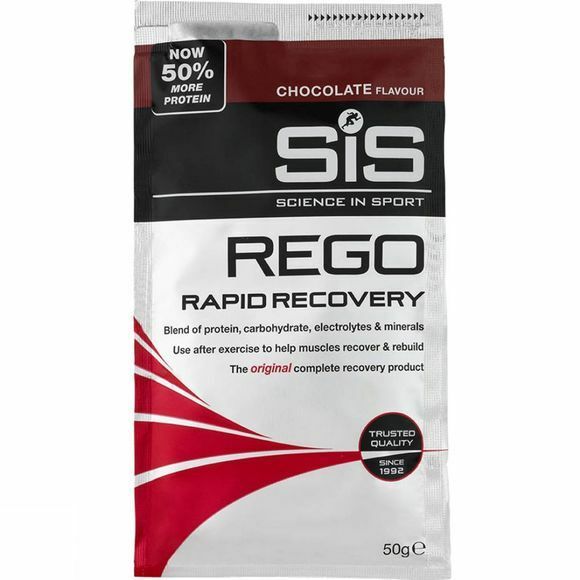 The Chocolate Rego Rapid Recovery Sachet from SiS aims to save you from this fate by providing a blend of easily digestible carbohydrates, proteins, electrolytes, vitamins and minerals which replenish your muscles' glycogen stores and electrolytes lost via sweat. SiS Rego Rapid Recovery will ensure your recovery is never compromised.